Meet and Greet with the filmmakers at Kings Coffee at Kings Landing following the screening. In an acting tour de force, one man performs 36 roles in the telling of the Emmett Till tragedy. Experience the story, trial, and unbelievable confessions of those accused of Emmett's murder in this riveting drama. Please join filmmakers Mike Wiley, Rob Underhill, Hannah Chapman, and Aravind Ragupathi who will be in attendance. Saturday, Sept 21st 2013 10:30 a.m. - 2:30 p.m.
Hannah's parents are divorced, but by listening to her Argentinian father's Tango music, she can still dance with him. A young boy wants to get rich by planting a stolen coin. 11 year old Ramon suspects the survival camp counselor to be a werewolf. Anouar and the Moon, NL, 25min, narr. 10 year old Iranian boy Anouar in order to comfort his little sister decides to catch the moon. Growing up in the rural NC mountains in the 1930s, 40s, and 50s. a brief first person biography of WWII veteran William "Babe" Woolard. 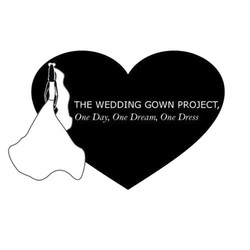 A short film about the importance of the wedding gown for women of all ages. The residents of Eastern Carteret County, NC, have earned their living from the adjacent waters of Core Sound for three centuries, but the sustained seclusion that has protected their heritage is fast eroding. Please join the filmmakers who will be in attendance! A poignant story about the life and death struggles and reality faced by many of the young people and their families affected by HIV/AIDS. This funny and touching film allows access to a painful subject matter to important to ignore. Julia, a young gay French woman is expelled from the US after living there for 15 years. Back in France she must face her fears and a painful relationship with her mother in a country where she no longer belongs. Please join the filmmakers who will be in attendance. JOSH - Against the Grain, Pakistan, 105min, narr. Josh is about Fatima, a dedicated school teacher, who is living a high cosmopolitan life in Karachi until one day her life shatters when her nanny Nusrat-bhi inexplicably disappears. Fatima then takes on the challenge to seek the dangerous truth in Nusrat’s feudal village. "Bilal is masterful in her depiction of three very different Pakistans- elite, feudal, lower middle class- and how they exist within the one greater Pakistan. Cinematographer, Nausheen Dadabhoy, perfectly captures this often conflicting co-existence through lavish interiors of Fatima's urban upper class mansion with its verdant driveway and winding staircases contrasting with the exteriors in Nusrat Bi's village such as the open air makeshift school with its small blackboard set against a bare sky. Bilal's script is tight and eschews preachiness and the film editor, Jochen Kunstler, has done an excellent job in keeping the suspense high and the pace brisk." The Editor of the film will be in attendance. TARA - The Journey of Love and Passion, India, 105 min, narr. A few hundred kilometers away from the hustle and bustle of the fanatically fast paced Mumbai city lies the deceptively sleepy village of Tanda. A village girl Tara seems to be content with her confined life, very much in love with her liquor maker husband. But, when the beautiful protagonist's seemingly mundane existence parts ways to reveal the unspoken realities of exploitation and darkness enveloping the village, she leads the villagers in their quest for survival, only to realize that she is up against something she may not be prepared to fight against-prejudice. The young woman who bravely stood up for the whole community finds herself cruelly alienated in her most vulnerable moment. Based on disturbingly common realities of Indian villages, this powerful story of self-discovery transcends the original theme of tribal strife to raise a universal question-can you always choose freedom & self-respect over social acceptance? Somu Awatramani from the Kumar Raj Production USA office will be in attendance with his family. Please join our filmmakers in attendance. Sunday, Sept. 22nd, 2:00 p.m. 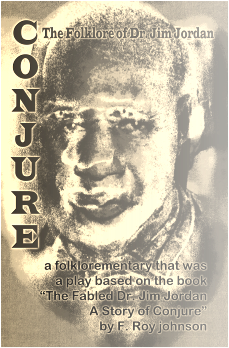 Using a local folk magic called "root work", a repressed woman conjures a demon to aid her in creating the man of her dreams-- but soon finds herself in a waking nightmare. Today only a small green sign marking an Intersection on highway 258 reminds us of the man who was called: "The Last Great Conjure Doctor of the Eastern Seabord". Thanks to newspaper man F. Roy Johnson there is a record of his life beyond the few photos and artifacts that have survived since his death in 1962. The film, as was the play that set it into motion, is an effort to keep this incredible story of self determination in the time of Jim Crow alive.